Standard formalin preserved crayfish. Shipped in nontoxic Wardsafe. Cambarus sp. 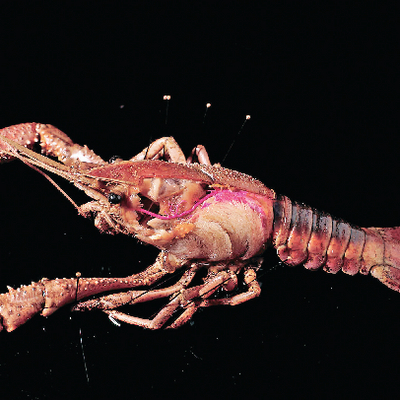 The claw of these southern crayfish is larger in proportion to it's body that those of it's northern cousins. Great for the study of crustacean anatomy and physiology. Can also be used in conjunction with northern crayfish for comparative anatomy.